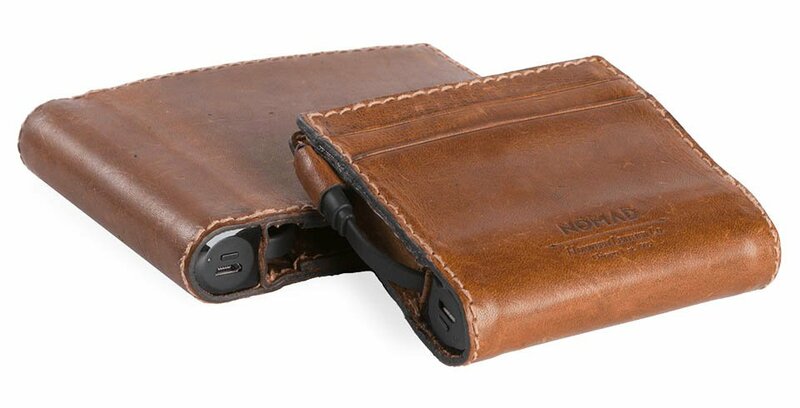 Why carry around an extra battery when you can have one built into something you already carry? 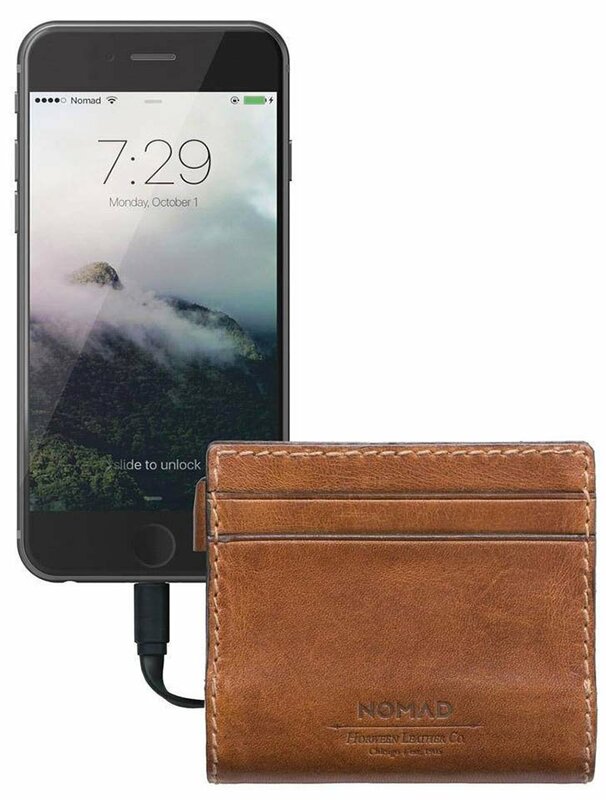 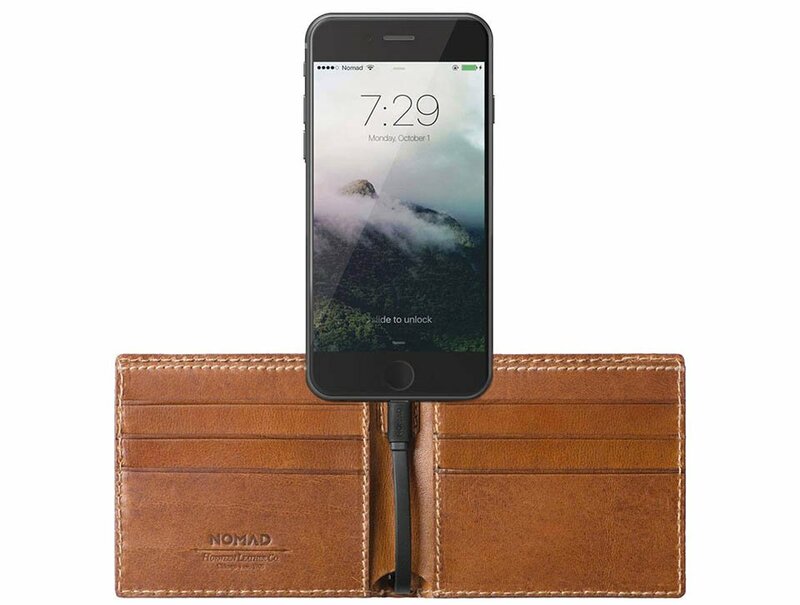 Nomad’s smartly designed leather wallets integrate a 2400 mAh battery and a Lightning charging cable for quick juice-ups. 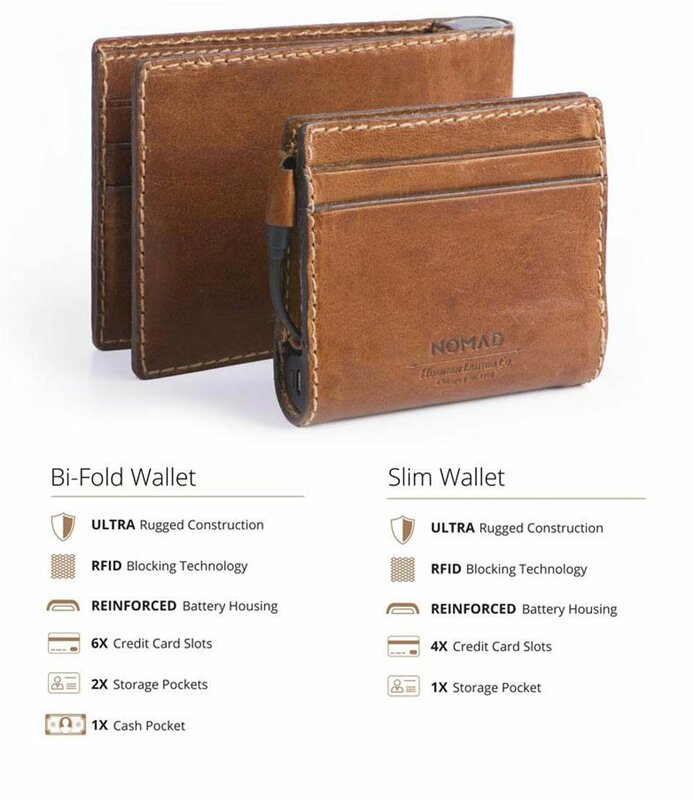 Available in slim or bi-fold designs.